All through the winter months, you have eagerly awaited the summer. Now that it’s here, you’re rejoicing in its beauty. However, you also need to pay attention to the damaging effects the sun can have on your skin. 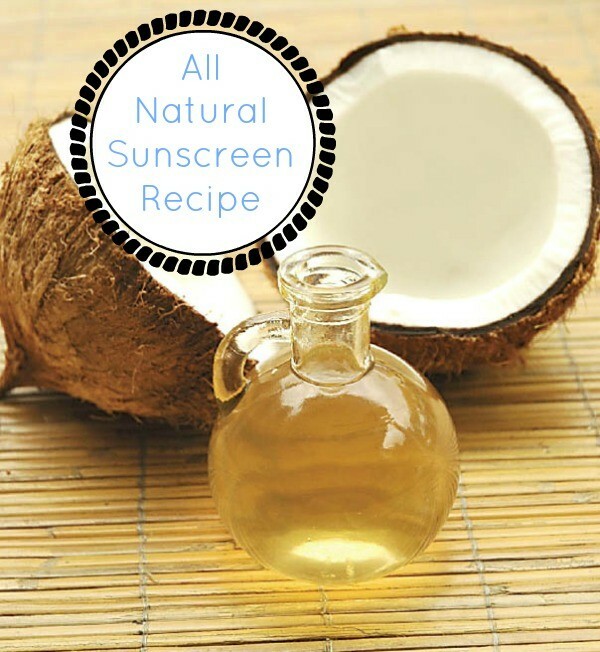 Between the sun and the heat, you need to find ways to beat the damage, and this all natural sunscreen homemade recipe is one of them. *The higher amount of zinc oxide that you use, the higher the SPF of this product will be. SAFETY NOTE: Your mouth must be covered when handling zinc oxide. **You can purchase vitamin E oil at Target and some other drugstores. Once you have assembled all of the ingredients, what do you need to do to let this mixture start to protect your skin? First, you want to heat up the coconut oil and the grated beeswax in a double boiler until it is completely melted down. Then, take it off the heat. Now that it has been removed from the heat, you can add in the vitamin E oil. In a separate pan, you can now add in the distilled water, warm it up and put in the natural aloe. Blend in the zinc oxide. Using a food processor or a blender can be an efficient way to accomplish this step. Put it in the fridge for 10 minutes. When it is done, you can blend it again to get a texture that you prefer. Each time after you blend, put it back in the fridge for 10 minutes. If you store it in the fridge, it can last for two to four months, which makes it perfect for that late summer trip. This method, inspired by Skana Spa of New York Resort, Turning Stone, is an all-natural way to protect your skin from the sun. The zinc oxide acts like SPF in regular sunscreen, and the coconut oil really helps to block out the rays of the sun. If you’ve ever had a bad sunburn, you’ve probably used aloe, so you already know its benefits. Combining all of these elements together makes for sun protection that is great for your skin and not toxic for your body.